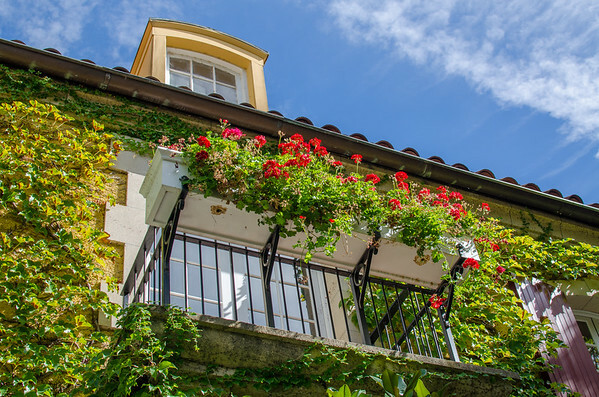 Last week, I joined my local writer friend, Betsy, for a quick trip up to Sonoma wine country. She had some research to do and was looking for someone to go along for the ride. Tip: Hang out with travel writers. We do some fun stuff and we’re always looking for travel companions! 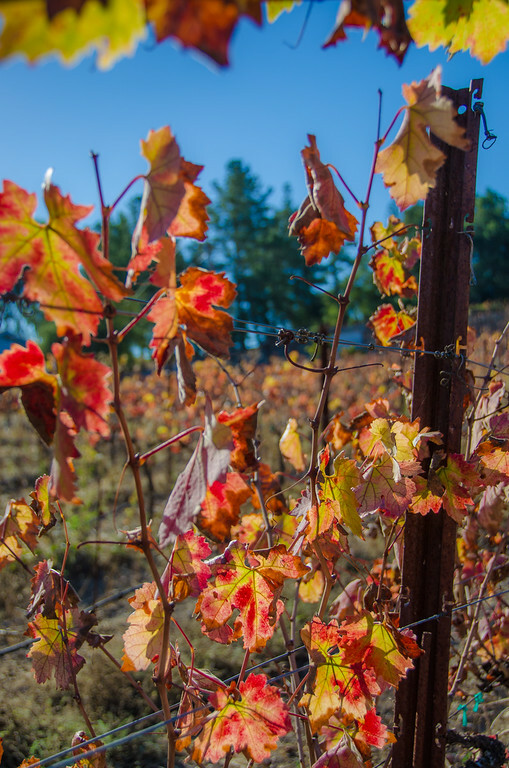 I had never visited Sonoma in the fall, and I was blown away by the vibrant fall colors in the Sonoma County vineyards. Who says you have to go to New England to see fall colors? California has got ’em, too! Our first stop was Jordan Winery, in northern Sonoma County’s Alexander Valley, just outside of Healdsburg. 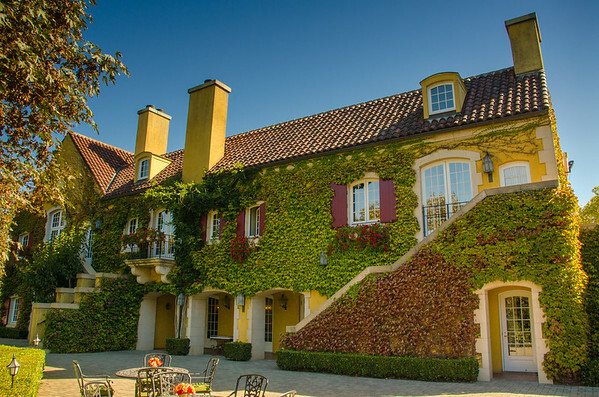 The family-owned winery was founded back in the early 1970’s after the Jordan family returned from a trip to France and decided to build a Bordeaux-style chateau here in California. They hired a 22-year old apprentice winemaker straight out of college at UC Davis. Forty years later, Rob Davis is still crafting all their wine. Jordan sticks to making only two types of wine: Cabernet Sauvignon and Chardonnay. They told me that it’s another French-inspired tradition, “just make a few wines, and make every one the best that you can”. Our tasting included a tour of the grounds and winemaking facility. 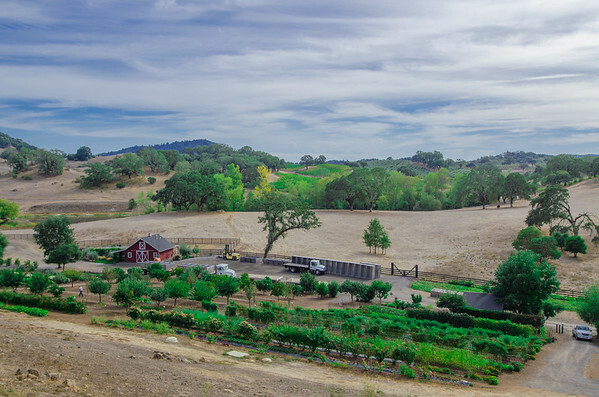 The estate is huge, on 1,200 acres of rolling Sonoma Hills. They grow most of the food they use in their onsite gardens and farm, complete with a few cows and two popular miniature donkeys. The cask room is one of the most beautiful that I’ve seen. 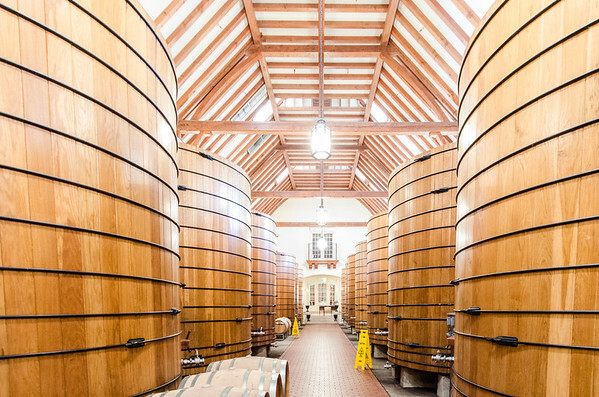 They are using the same oak casks for at least a portion of their aging for 40 years. Our guide joked that they were the “dictionary definition of neutral oak.” They are really beautiful barrels. We planned the trip to catch Jordan’s annual Harvest Lunch. The winery follows an old French wine tradition of hosting a big, family-style meal for the workers, their families, and friends to celebrate the end of the grape harvest. Jordan does a whopping 25 of these lunchtime events each year, leaving a few spots open for their wine club members, media, and friends. The menu changes daily based on what’s ripe in the garden, and there were plenty of options for vegetarians. I realized this morning that I didn’t take any photos of the lovely food, I was too busy stuffing my face. Jordan is open by appointment only for tasting and tours. Prior to this trip, I’d only ever visited Sonoma wineries with open tasting rooms that you can pop into on a whim. The Jordan tasting experience is more intimate than drop-in wineries (and pricey–tastings start at $30), but worth planning ahead for if you are looking for a special experience. 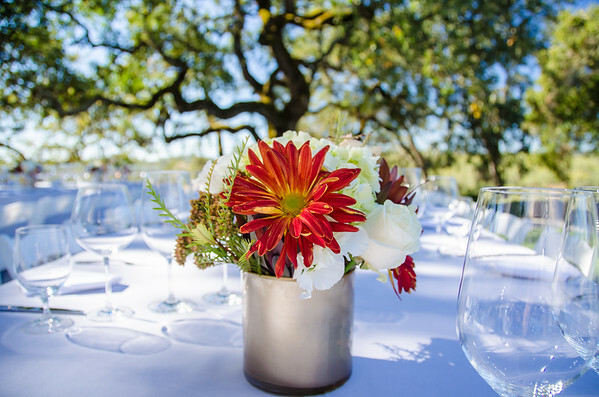 After lunch at Jordan, we headed south to DeLoach Vineyard in Sonoma’s Russian River Valley. DeLoach is another old Sonoma winery. They were one of the first Pino Noir growers in the area when they planted their first vines in 1973. I was really excited about this stop because Betsy had reserved a new-to-me food adventure, their “Magic of Wine & Mustard” experience–a mustard-making workshop! I am a big fan of do-it-yourself culinary projects, that Kevin lovingly calls my “food experiments.” You might have noticed that I have a special fondness for fermented foods and condiments–I make my own pickles, soda syrups, beer, yogurt, kombucha, kimchi, hot sauces, red wine and infused vinegar, and other obscure fermented foods. I have a whole Pinterest board of strange fermented things I’ve made and things I want to try. So a mustard-making class was right up my alley. 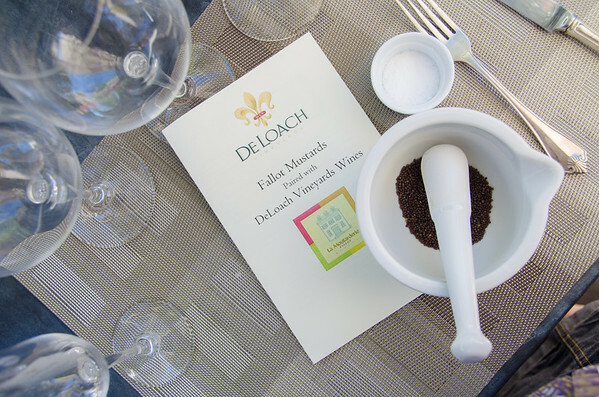 The French owners of DeLoach partnered with their friends at Fallot Mustard (in Burgandy, France) to share their Dijon mustard technique and do a wine and mustard pairing. 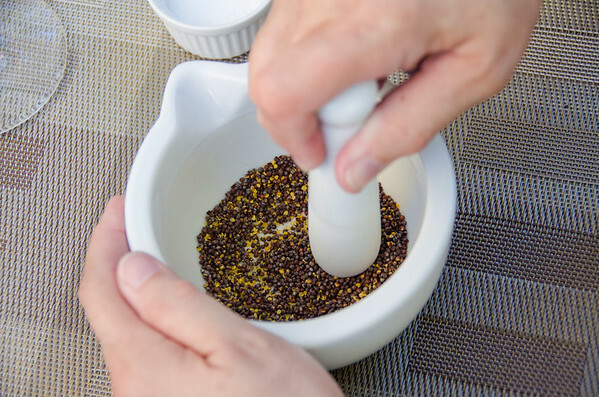 A spicy homestyle Dijon mustard recipe includes just three ingredients: ground black mustard seed, salt, and a dry white wine. Commercial producers may use other ingredients including vinegar or yeasts to influence the fermentation, but doing it at home is really that easy. I’ve used black mustard seed in cooking many times but had no idea the inside of the seed was “mustard yellow” if you grind it! This is something I’ll definitely be doing at home! We didn’t actually pair the straight mustard with the wines–what a way to blow out your tastebuds! Instead, they brought out some dishes that used their mustards and we paired them with four of their wines. The spicy flavors go well with their pinot noirs. After the tasting, we toured the winery’s grounds. 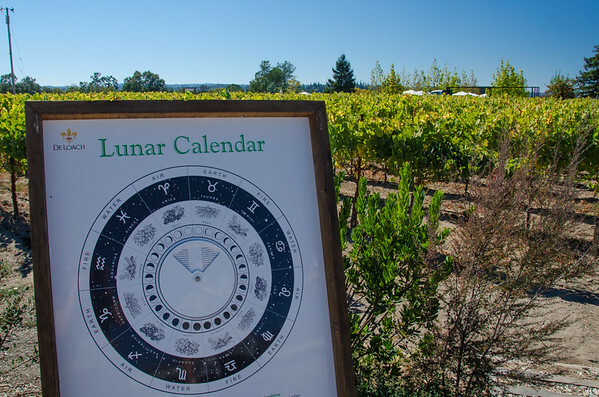 DeLoach uses only biodynamic-certified vineyards. 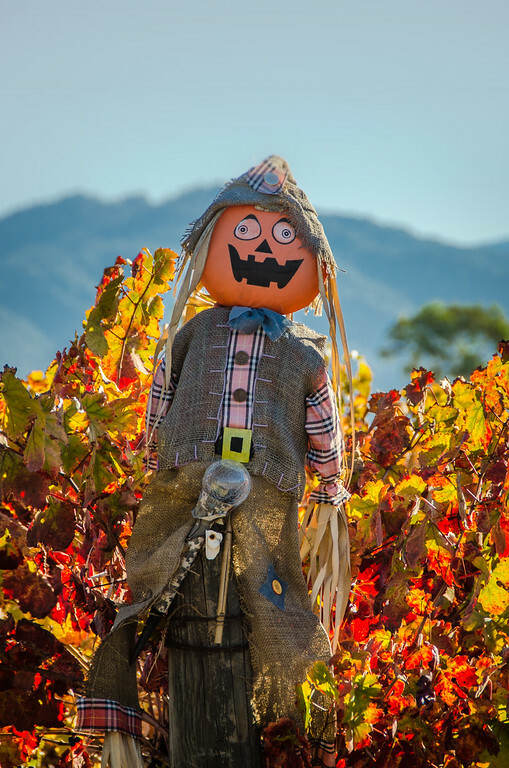 Biodynamic is like “organic” on steroids–a terrible simile, I know. It’s a holistic method of growing that treats the health of the soil as key to growing good grapes. They do frequent crop rotation, using non-chemical, plant-based extracts to fertilize the soil and repel insects. That stuff is chemistry–I get it. There are some other odd practices that went a bit over my head–planting by the phases of the moon, and infusing the soil with an herb tea-filled cow horn (fertilizer I know, but still). The point of it all is that when the vines are healthy, the grapes are healthy, and the workers are healthy, you’ll get a good wine–that’s all I need to understand. After concluding our tour, we started our drive back toward the Bay Area as the sun set over the vineyards. 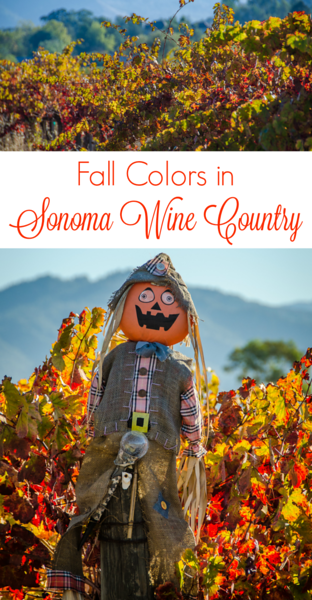 It was a great little wine country getaway and I looking forward to making a “fall colors” trip to Sonoma an annual tradition. Thanks to Jordan and DeLoach for hosting these adventures, and Betsy for letting me tag along. I’ve always said that we have seasons here in California. 😉 Really, everything is a quick drive away! Agreed! I knew we had access to great fall color displays in the Sierras, but I never thought we had anything this pretty so close to home! I need to get up to wine country more often. The guys from DeLoach told me about some good dog-friendly wineries up there, we should plan a trip up! These are some gorgeous photos!!! and the food and wine sound amazing. As well, love a good mustard! Thanks, Janice! It was a great trip. They served a very rich chocolate mousse at the harvest lunch dessert that you would have enjoyed 🙂 Do you have any favorite Sonoma or Napa wineries? Wonderful, thanks for this Janice! Fun! 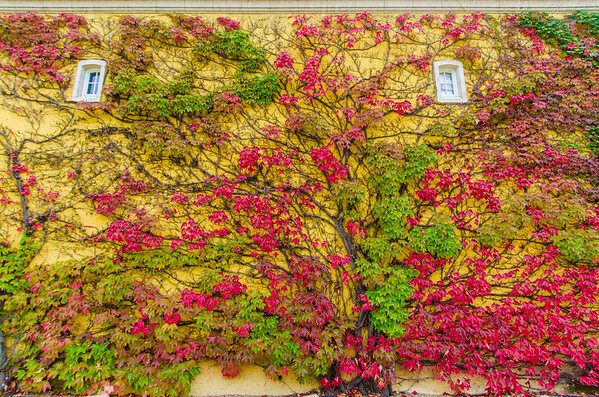 I always include a day trip to Napa Valley in my fall plans because the colors there are so pretty. 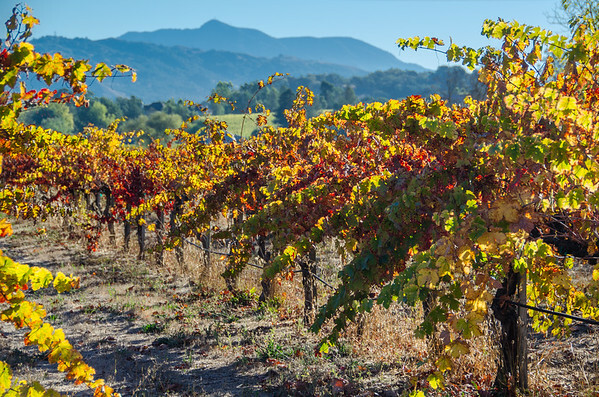 I’m excited that this year, we’ll be in Sonoma County in mid-Nov. (although by the colors in your photos, it seems we will have missed the height of the fall colors by then!). I love the idea of the mustard class and pairings, and that’s great that you got to learn about biodynamic vineyards. 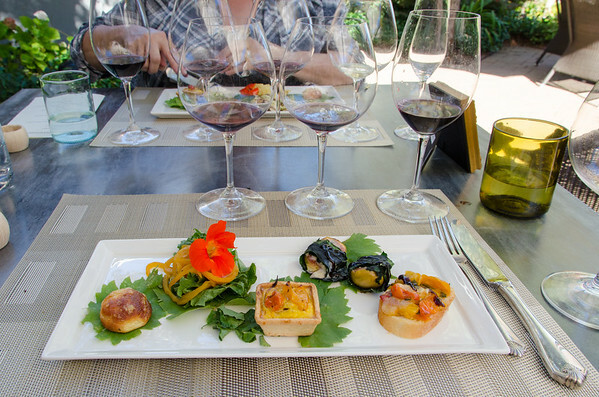 I have also heard lots of good things about Jordan Winery but have yet to make it there. Nice garden at that winery!